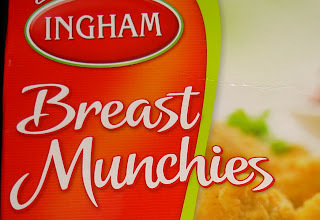 Well, I don’t know what was in “Munchies” before they became “Breast Munchies” but they sure did taste a lot better than what they taste like now. 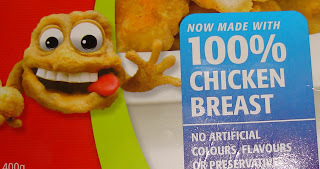 They actually taste like chicken! eeeewwww! I didn't buy them because I wanted the taste of chicken! Ok, my flu might have had something to do with the weird taste... they didn't taste so different from the original Munchies the second time round. A food called 'breast munchies'...wow that is disturbing!